Winning Team, Season 4 of HGTV's Brother vs. Brother. Celebrating over 15 years in Las Vegas, Scinta Designs has earned a place as one of the top firms in the South West. Scinta Designs is the Recipient of the 2013 Las Vegas Design of The Year Award and five time Best of Houzz Award Winner for 2012, 2013, 2014, 2015, 2016, 2017 and 2018. Peggy Scinta, founder and Principal Designer, says "We create beautiful spaces that our clients can actually live in." Originally located in New York, this year Scinta Designs will surpass a decade of successful decorator and interior design services in Las Vegas. Using creative design expertise, we offer remarkable value, unparalleled style and a level of service that is considerate of every client’s life style. P. Scinta Design’s signature look highlights bold color, geometric patterns – paired with “new” traditional, classic pieces. The firm's style - a marriage of today with hints of yesterday that create a fresh, yet timeless look. P. Scinta Designs can help you achieve the home of your dreams. Our friendly and knowledgeable team has over 18 years combined interior design expertise and would love to help you with your next project. Call us for more information about our work or to schedule a consultation. Winner of the "Top 15 Designers in Las Vegas" & Best of Houzz 2017! Interiors by Cary Vogel is a residential interior design firm located in Las Vegas, NV and New York City, specializing in upper-middle to high-end residences. Principal, Cary Vogel, IDS Professional, has been professionally designing residences since he was graduated from the Parsons School of Design in New York City in 1982. His passion is to make his clients' homes their inspiration... Please reference the Interiors by Cary Vogel website (www.interiorsbycaryvogel.com) for a more thorough biography and client testimonials. Avelino's passion for design is sure to transform your rooms into welcoming and embracing spaces. In fact, with her high standards of delivering mood enhancing ambiance, rather than solely beautiful interiors, Fabiola is confident your home will be admired and thoroughly enjoyed by you and your guests. Fabi's design inspirations are as varied as and exciting as your dreams and aspirations. Be it classical elegance, industrial minimalism, or modern glamour; not only does she create exquisite design and finishes that embody aesthetic vision with an artistic signature, but she expand the possibilities for each with an eye on today's eclectic interiors. Constant, however, is her close attention to detail and craftsmanship. As well as the thrive to exceed your expectations. Fabiola creates designs that incorporate and reflect the personalities of each of her clients. She uniquely draws from a multitude of styles, combining contemporary and classic, bold and subdued, to achieve an individual look that is inspired by the goals of the Owner, rather than by a particular popular trend. Rebecca Zajac of Rebecca Interiors and Design by Numbers is an established and published designer. She's been featured across top Interior Design blogs and magazines and has appeared on both HGTV and TLC. 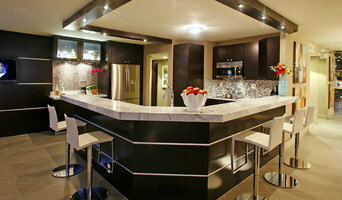 Rebecca Interior's is currently specializing in home renovations from updating dated bathrooms to tired kitchens. Design by Numbers is in the process relaunching into an online design boutique as well as offering online decorating services. Cost effective, creative and unpretentious. Specializing in design development ranging from schematic design to project management, with myriad of design-related options in between. Let us create your desired space! Interior Design, Decorating, Remodeling. Nevada-based interior decorator, Laura Sullivan, is the owner of My Favorite Design, Inc. Laura Sullivan takes pride in providing a full-service boutique firm that specializes in personal attention, expertise, and a creative flare for the original. Laura Sullivan's signature style is clean and classic. Discerning tastes want the optimum in quality and service, and Laura Sullivan provides both. With every project, Laura Sullivan guides clients through the decorating process and assists in the selections of the myriad of details that make your home or office something special. 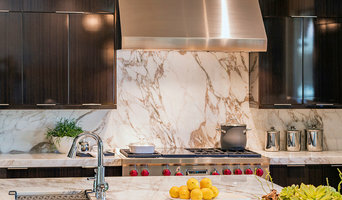 Whether you are looking to redo a room or design an entire home or business space, My Favorite Design, Inc. can help you coordinate every step of the process. My Favorite Design, Inc. is a highly dependable and much sought after design firm in Las Vegas because of its attention to detail. By creating unique custom window treatments, providing clients with high quality fine furnishings and always demonstrating a hands-on approach to all projects, we have earned the trust and confidence of our clients. Meeting the needs of every client's wishes is the driving force behind My Favorite Design, Inc. Let Laura Sullivan help you create the space you deserve. We are a luxury design firm emphasizing contemporary elegance infused with comfort and livability. Our services include design of interior and exterior spaces, architectural finish selection, furniture design, and project management. Las Vegas Interior Designer Best of Houzz 2013, 2014, 2015 & 2016! Room Resolutions is a concierge interior design boutique that specializes in high-networth residential and commercial design in Nevada, Hawaii, California and across the United States and Internationally. You don’t just purchase a home, you commission it. A home that is yours, and yours alone. Every Room Resolutions design is unique to its owner. Take your inspiration from your passions, then allow us to bring your vision to life. Imagine your home masterfully designed and orchestrated with exceptional attention to detail for a completely stress-free retreat. Jane is the Owner and Principal Designer of Room Resolutions and her daughter Amanda is the Design Manager. Together they bring more than 30 years of design expertise to your home. Jane grew up in Exeter, New Hampshire and had an early connection to music and theatre. A classically trained musician, she earned a Bachelor of Science in Music Education and a Masters in Music and worked as the Director of a large, not-for-profit foundation before establishing her firm and a career in design. As the Principal Clarinetist in the Honolulu Symphony, Jane was inspired by, and skilled at finding her way through the intimacy of the second movement of a piece. She sees the second movement in music to be a direct correlation to the journey we take in our lives, seeking a different tempo, another key and even a changing theme and variation. “It’s about creating moments of sanctuary amongst a vibrant surrounding. I want your space to connect you to the rhythm of your life.” Jane and Amanda have traveled the world as ambassadors of design and culture in countries as diverse as Denmark, Iceland, Russia, Japan, Australia, and New Zealand. Adding Insightful thinking to this remarkable opportunity called Design! Thank you for considering TV INTERIORS for your design needs. Hi, my name is TaVangelia Wren and I'm the owner/principle and sole designer of TV INTERIORS. I started my own business about 5 years ago. After working for several high end luxury designers in the Las Vegas area, that wouldn't take small projects or one off jobs. As most designers are looking for the large home remodels with the deep budgets, I'm more focused on the everyday client. Because here, at TV INTERIORS, I believe that EVERYONE deserves for have a great home. A home that you just can't wait to come home too after a long day .That's why I work hard to cater to all design styles and budgets to service design clients in need of design inspiration. ALL PURPOSE Design Consultant, focusing on, but not limited to home design that will translate your dream into a reality . Through the proper use of furniture selection and placement, textile alternatives, color and accessory arrangement. I will create balance, harmony and rhythm throughout your living and outdoor space. By focusing on room by room design, full home design, remodels, kitchen, bath, furniture, lighting and paint, I have the ability to be competitive in the design market. With 8 years of design experience focusing 5 of those years in furniture design, development and manufacturing. TV INTERIORS will offer more than just an experience, I will offer you a journey of understanding, awareness and full satisfaction of the interior design industry with excellent customer services. As TV INTERIORS believes that customer is the back bone of any and every business, i pride myself on having top of the line service. I hope this gives you a better understanding of me, my business and why i do what i do. Encouraging you to chose TV INTERIORS for your design needs. Please feel free to contact me with any questions, I offer free consultation. Kathy Wilson is recognized for her keen sense of style, attention to detail, and dedication to creating the perfect environment for her clients’ needs. She has established herself in the field of interior design for the past 15 years. Her passion of decorating interior spaces became her lifelong dream. She first started helping to design and enhance homes for family and friends, which led her to attend The Art Institute of Nevada. Kathy pursued her career in interior design. Her designs represent environments with style, comfort, and functionality. She is capable of producing “turnkey” projects, and manages all aspects of a project from commencement to completion, including: color schemes, design development, bidding, construction management, window treatments, furnishings and accessorizing. With hard work Kathy takes the ordinary and makes it spectacular. The ultimate goal is to achieve a design that reflects who you are and how you live. As your interior designer, my top priority is to listen to your needs and put together a complete design package that fulfills your dreams and meets your budget. I have a simple client philosophy: “An open communication working together to build the perfect plan.” I am involved in every step throughout the design process, always working as your partner. My goal is to achieve a design that reflects who you are and how you live. $95 Hourly Rate, after your initial free consultation Visit <a rel="nofollow" target="_blank" href="http://sheetid.com">http://sheetid.com</a> to learn more about Kathy's latest invention, The Sheet ID! With an architect’s eye, and artistic creativity, Pierrette incorporates the experiences of her travels, her unique design history, and her clients’ personalities, tastes and vision when creating sophisticated and elegant spaces. By integrating new furnishings with existing treasures, she will create the sanctuary you dreamed of coming home to every day. A good home design professional will hone your style down to its very essence and be able to choose a functional layout that feels natural to you. Interior design companies can be involved as much or as little as the client desires. Many clients who hire an interior decorator in Boulder City, NV — particularly those who are remodeling — have a good sense of how the room should look and what products they should use. Often clients will insist that interior decorators use the products already present in the house. Other times a designer will need to start from scratch — especially if this is a newly purchased or just-built home. An interior design company will need to figure out exactly what the client needs, which includes organizing rooms, picking flooring and wall colors, and finding furniture to complement it all. Sometimes that means he or she will have to recruit help from other Boulder City, NV home professionals to help create the perfect look for your renovation. Here are some related professionals and vendors to complement the work of interior designers & decorators: Architects & Building Designers, General Contractors, Home Builders, Design-Build Firms, Photographers. Do your research before meeting with an interior designer or home decorator in Boulder City, NV. Ask yourself what you want your space to become and what it will be used for. Figure out the extent of what you need help with, what your must-haves are and what your budget is. Interior design services can add up fast, so be up front with a potential design firm or individual from the beginning. Also, pick an interior decorator that fits your style. Browse through the portfolios of different Boulder City interior design firms and decide if you would live in those houses. Just because you like something doesn’t mean you could live in it. There's a big difference! 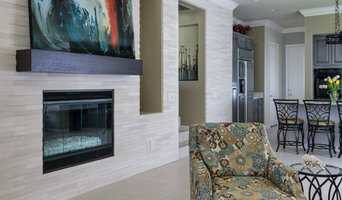 Find an interior designer or home decorator in Boulder City, NV on Houzz. 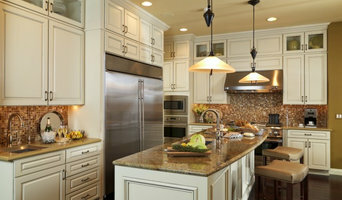 Narrow your search in the Professionals section to find Boulder City interior designers near you. You can also look through Boulder City, NV photos to find a room you like, then contact the design firm who designed it.